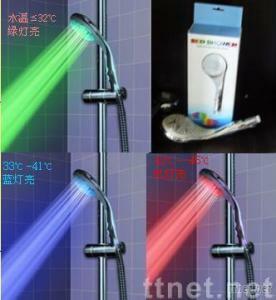 Shenzhen Ruichao Electronics Ltd./Ruichao Electronics(HK) Co., Ltd.
installation on the shower head. 32 degrees when free convert to green. (3): 41-45 degrees to time into red lights. water temperature is too high. very convenient and practical products. the lavatory room bath does not turn on the light is lit. point of view, a reasonable appearance!